No matter how much you care, we'll care more. Take care of your Kia's first 3 services from just £239 *including VAT. We offer an exclusive service package. Enjoy a competitive fixed priced package on your first 3 services - with Kia Care-3, or first 5 services - with Kia Care-3 Plus, and save on the cost of servicing your car. We built your Kia, so we’re best placed to keep it running to the highest standard. Our dealers will carry out the necessary service and maintenance for your Kia using only Genuine Kia parts and our trained technicians. This could boost the resale value of your car by having a full Kia service history. With our fully qualified technicians and state-of-the-art diagnostic and servicing equipment, you have the peace of mind that your Kia is in the best possible hands for all your servicing needs. And because we only ever use Genuine Kia parts, your Kia gets exactly what it needs to keep it running smoothly. With flexible payment options, you can finance the service plan, when buying your car, through monthly or one off payments. What's more, add on your first MOT for just £30 instead of the usual £54.85. This offers you great value as well as an approved Kia service history. A 24 hour service to help you in the event of a vehicle accident. Call Kia First on 0330 201 8832 no matter who your insurance provider may be. We'll do the rest including liaising with your insurer and guaranteeing a repair at a Kia approved bodyshop. Kia Care-3 and Kia Care-3 Plus must be purchased within 11 calendar months from the date of first registration of the vehicle. Kia Care-3 and Kia Care-3 Plus covers the first 3 or 5 scheduled services in line with Manufacturers time/mileage recommendations but does not include additional maintenance or repair for wear & tear items such as tyres, brake pads, bulbs, drive belts and fluid top up's between services, etc. KiaCare-3 covers the cost of the parts, lubricants and labour involved in the first 3 manufacturer scheduled services (36 months or 30,000 miles, whichever milestone is reached sooner). Kia Care-3 Plus covers the cost of the parts, lubricants and labour involved in the first 5 manufacturer scheduled services (5 years or 50,000 miles, whichever milestone is reached sooner). Kia Care-3 'standard' package is developed for customers covering a maximum annual mileage of 11,000 miles (10,000 miles per annum plus 1,000 miles grace period). Should you purchase a 'standard' package and exceed the 'standard' package mileage certain service components on your car may need replacing - for which your dealer will charge you separately. This included any additional parts, labour and oils required due to exceeding the mileage. Kia Care-3 and Kia Care-3 Plus is only applicable to parts and lubricants supplied and labour charges in the UK, although Kia Care-3 may be purchased in respect of vehicles purchased in other parts of the EEC. Servicing conducted under Kia Care-3 and Kia Care-3 Plus must be carried out in line with the manufacturers time and mileage recommendations. Service due datesare taken from the First Date of Registration of the vehicle. You can arrange for servicing under Kia Care-3 and Kia Care-3 Plus to be carried out by any Kia Dealer or Authorised Repairer within the UK. Kia Care-3 and Kia Care-3 Plus does not cover items that require replacement or repair due to excess wear and tear, misuse or a lack of maintenance as described in the owners handbook. Any form of tuning or modification to your vehicle will invalidate Kia Care-3 and Kia Care-3 Plus, without the need for evidence that the tuning or modification has adversely affected your vehicle. Replacement pollen filters are excluded from Kia Care-3 and Kia Care-3 Plus. Replacement pollen filters are to be changed at the owners discretion and cost. Value Added Tax (VAT) at a rate of 20% is included in the purchase price. Top up plans (fourth and fifth services) are only available for cars where a 3 service plan is already in place. 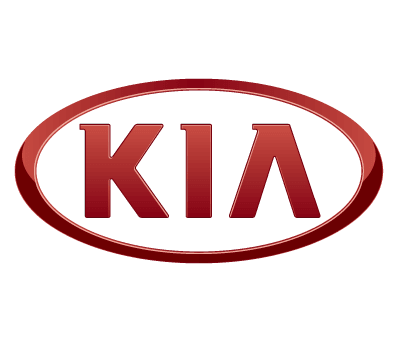 Should you wish to cancel your Kia Care-3 or Kia Care-3 Plus package, you have the right to do so within 14 days of purchase, providing you have not made use of it. Kia Care-3 and Kia Care-3 Plus cannot be cancelled/refunded after 14 days from purchase. Kia Care-3 and Kia Care-3 Plus is assigned to the vehicle and not the owner. Therefore Kia Care-3 and Kia Care-3 Plus is transferable to subsequent owners but cannot be transferred to another vehicle. Kia Care-3 is available for higher mileage customers. Higher mileage users are defined as an annual mileage of between 11,001 to 20,000 miles. The Care-3 package for higher mileage users covers first 3 services only. Top Up products are not available for higher mileage users. Kia Care-3 Customers can purchase a first MOT test for £30, at participating dealers. The MOT test fee is for the first Government MOT test and excludes the cost of any required repairs. MOT fee is zero rated for VAT. MOT test must be purchased at the same time as the Kia Care-3 package, it cannot be purchased on its own. MOT offer excludes Northern Ireland, The Isle of Man and Channel Islands.